As a parent, you will probably go to great lengths to keep your kids healthy, but you may be overlooking one of the most powerful and effective healing products available: coconut oil. Sometimes it seems almost impossible to keep kids healthy, especially considering the army of germs that attack them on a regular basis. If you want to add an effective and powerful tool to your natural health care arsenal, consider coconut oil. You can easily incorporate this oil into your child’s diet and routine — and probably be pleasantly surprised by the results. Provides a natural source of energy without negative side effects (unlike carbs and refined sugars) and it does not lead to the accumulation of fat in the heart or arteries. Improves the body’s ability to absorb important minerals like calcium and magnesium, which are necessary for the development of bones. Speeds up the healing of bruises by repairing damaged tissues. Treats fungi and yeast that cause candidiasis, ringworm, athlete’s foot, thrush and diaper rash. This simple, exotic-smelling oil is truly under-appreciated. “It’s high in lauric acid, which contains antiviral, antibacterial as well as anti-fungal properties,” says Ragan. “It has a million benefits and no drawbacks. It’s cheap, and readily available at most health food stores or online.” What’s not to love? Even if you don’t like the taste of coconuts, you can still incorporate the oil into smoothies or baking and reap the benefits without an overpowering tropical flavor. 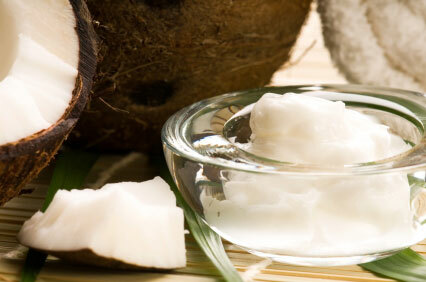 Look for extra virgin, organic coconut oil, which ensures that it has a level of purity safe for regular consumption. You may have a jar of coconut oil in your pantry but never knew about the wide range of health benefits. If not, add it to your grocery list. “Extra virgin, organic coconut oil is the only way to ensure the level of purity that is important to consuming it on a regular basis,” says Ragan. “Otherwise, it can be polluted with pesticides and other chemical residues.” A high-quality coconut oil won’t break the bank, but it will make a big contribution to your natural health care efforts.